This cute skinny sterling silver bracelet is one of our favourites. 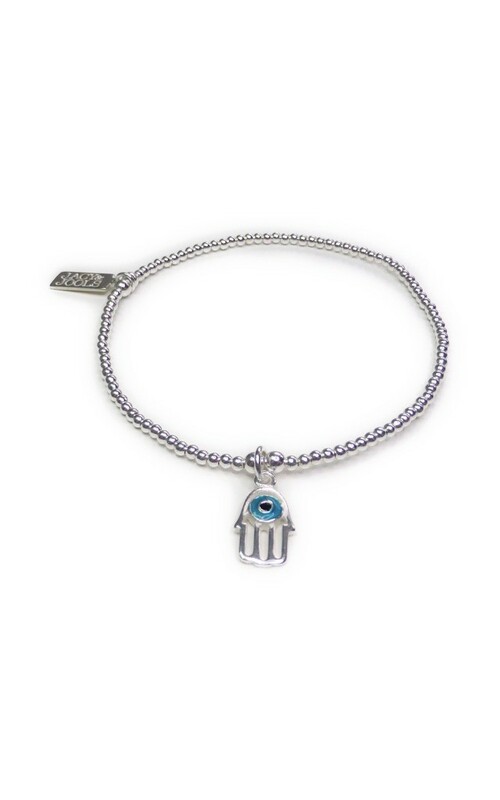 We love the pretty blue enamel evil eye within the hamsa charm. This will look great in your summer stack!